When I notice that I've forgotten about the peanut butter in my pantry, I understand that willpower is not the capacity to say no to temptation. I grew up thinking that willpower was like a pie: at the moment they were serving it, some got a bigger slice than others; and a few of us got nothing! I was wrong. 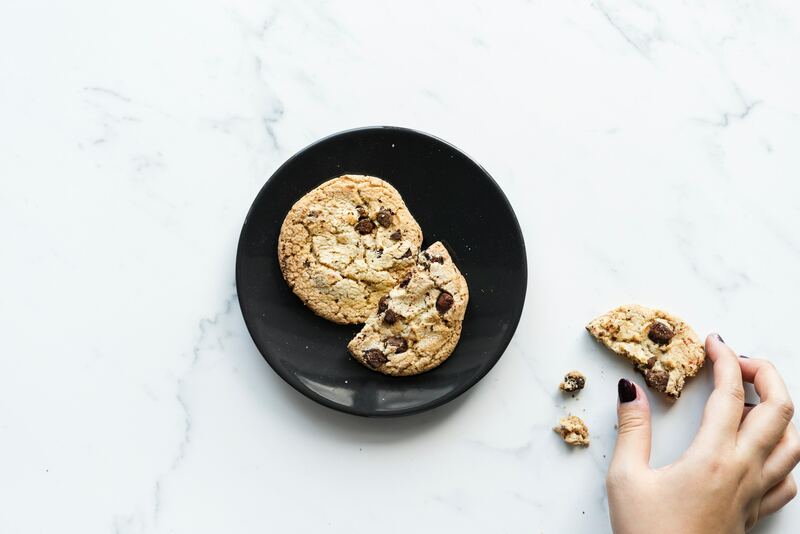 Willpower is not the capacity to say no to temptation (an inevitable consequence of the diet culture in which we live). It is about exercising our free will; that incredibleability to either do whatwe want to do, or not do what we don’t want to do. The difference between Lina in 2019 (sane around food) and Lina in 1999 (insane around food), is that today I understand that I have choices, that those choices have consequences, and that I amresponsible for those consequences regardless of whether they are good or bad. Could prohibition have anything to do with willpower? Interestingly, I only heard about willpower in the context of eating and exercise. “She’s fat because she doesn’t have willpower”, or “she’s kept her figure after the liposuction because her willpower is hard as steel”. I never had the willpower to avoid the box of Kinder bars and lacked the willpower to not go repeatedly into the kitchen one hour after breakfast to pinch the bread (trying to not be seen). I couldn’t do the pineapple and tuna diet for more than a week. I simply couldn’t stop desiring the foods I had declared forbidden! The reason wasn’t that I didn’t get a slice of the “willpower pie”. It was a direct result of my attitude and mindset towards food. Numerous studies (like this one, this one or this one) show that the more we try to restrict and control our food, the more we rebel and eat. Because our bodies are complex and magnificent, biology also comes into play when we deprive and restrict. A diet (or any intent to control your food intake) where you eliminate live-sustaining nutrients, pushes your body into starvation mode. The result is that you’ll want to binge-eat in preparation the next period of famine—just like it happened to our ancestors thousands of years ago. Transforming the way I thought about food was key to feel sane around what I eat. Not willpower. In my life, this new attitude arises when I forget about the peanut butter in my pantry or when I’m say no to the third weekend of pizza (this happened recently). I don’t say no to pizza due to self-control. I have no internal rule forbidding me from eating it, so I don’t feel like I’m depriving myself of anything. I know that three weekends in a row of eating pizza negatively impact my energy levels, mental clarity, and digestion, and that’s not how I want to feel. I call this the ‘ownership mentality.’ Sometimes I choose to have pizza, cake and wine on a Sunday night, and I also own the consequences of that choice. The transition from a diet mindset to an ownership mentality doesn’t happen overnight. It also takes practice. Instead of feeling limited by what you can and can’t eat, start by recognizing that you have options. Ask yourself how you wish to feel after the meal is over. Next time you go out to dinner with friends and feel the need to control your food, replace the, “I can’t eat the bread because it will make me fat”, for “Ican eat the bread if I want. But I choose not to eat the bread because it will impact my digestion and I don’t want to feel heavy”. If you decide to eat the bread, go ahead! But own the consequences without judgement or guilt. Give yourself permission. You’ll see how slowly you’ll internalize freedom and ownership of choice. I figured it out and I want to help you do the same. Download my free guide with more steps on how to feel sane around food again here.